Natural Beauty Products Haul ft. iHerb.com and a New Video! I recently did a little damage on iHerb.com, which has quickly become one of my favourite online stores for all things beauty! 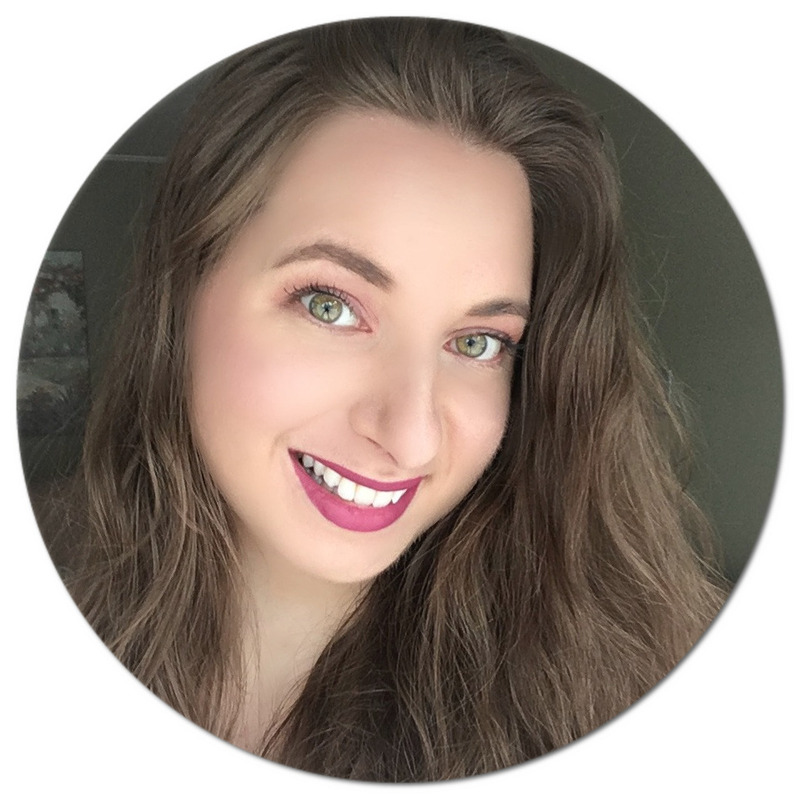 I first discovered the website when I was looking to purchase Real Techniques makeup brushes, and it's only until after a couple more brush orders that I realized the sheer amount of natural and organic beauty products that they offer - my eyes were seriously in heaven just looking at the alphabetical list of brands! This is more of a collective haul since I placed two separate orders on the websites (this might be becoming a problem...oops! ), so today I though I would share with you what I purchased. From the brand Dessert Essence, I got the Thoroughly Clean Face Wash-Original and the Blemish Touch Stick Concealer in the shade Light. They both contain tea tree oil as one of their main ingredients, which is known to be beneficial to treat acne and scarring, so I'm really excited to see how these perform. I also got the Beauty Without Cruelty Aromatherapy Balancing Facial Toner. I have been using Witch Hazel as a toner for a while now (reviewed here), but was curious to try something different to see how it compares. I got the Acure Organics Brightening Facial Scrub because I have never tried a brightening skin care product and I was really intrigued when I read all the positive reviews on the website. I'm a little skeptical about how much a scrub can actually brighten my face - I guess I'll just have to test and see! Next I got the Naturtint Permanent Hair Colour in the shade Light Ash Blonde for my mom because she was looking to try a plant-based hair treatment, and this one is ammonia-free. She has already used it and the colour turned out exactly like on the box, and to my content I didn't have to leave the house (more of that in the video)! I also purchased the HoneyBee Gardens Pressed Mineral Powder in the colour Supernatural. It is talc-free, paraben-free, fragrance-free, and oil-free (music to my ears)! From my first impression swatching it, it felt really smooth and was quite pigmented. I'm really hoping it holds up on my combination skin. Another product that seemed like a hit was the Margarite Zinc Cream For Problem Skin. It's a tinted mineral formula, and after trying it on my hand it actually looks like concealer! This product contains sulfur as its active ingredient which is known for its zit-zapping properties, so I know I will be getting a lot of use out of this. 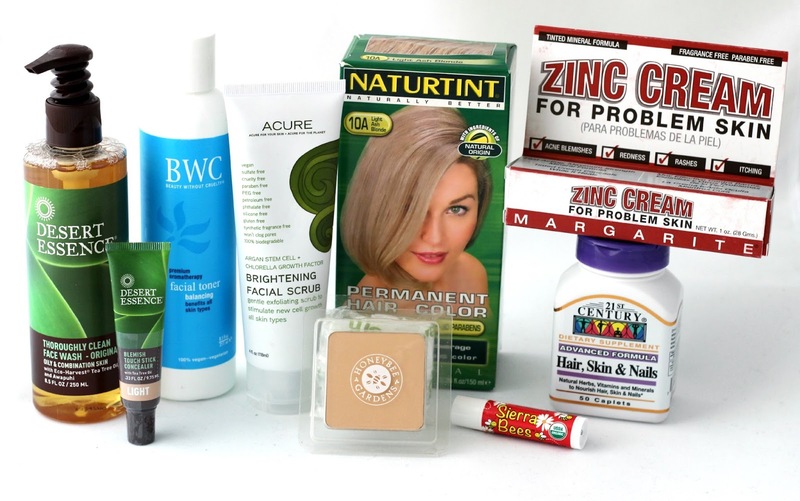 iHerb.com also occasionally offers a free gift with every order which you get to pick out, so I was lucky at the time and also got the Sierra Bees Organic Pomegranate Lip Balm and the 21st Century Hair, Skin, & Nails Dietary Supplement Caplets, one in each of my orders. They also threw in a plastic shower cap, which will be perfect for travelling. I love shopping on iherb.com because they carry so many brands that aren't available in my country; plus, shipping to Europe is so cheap in comparison to other online shops! I can't wait to see your reviews on these products! Thanks for sharing on Whatever Wednesday on Thank You Honey! I've never heard of them before. I'm going over to see what they have. What the..never heard of a concept such as the zinc cream! Can't imagine a flesh tinted spot treatment thingamajig, heh. I think I've given up on most spot-treatment products and have begun using masks as spot treatment...not too shabby! Nonetheless, can't see how the zinc cream performs!